The “feel good” movement celebrated the launch of Citroën’s striking New C3 - its colourful, customisable, super-mini, shortlisted in Europe’s Car of the Year 2017. A trio of New Citroën C3 cars took to the streets of Dublin to surprise selected “Feel Good Monday” nominees. On the day, numerous people were surprised in person by the Citroën convoy, with treats including airline vouchers, beauty hampers, make-over vouchers, show tickets, signed jerseys, toys and a hotel voucher. The campaign called on the people of Dublin to nominate their friends, family or colleagues for a special surprise. 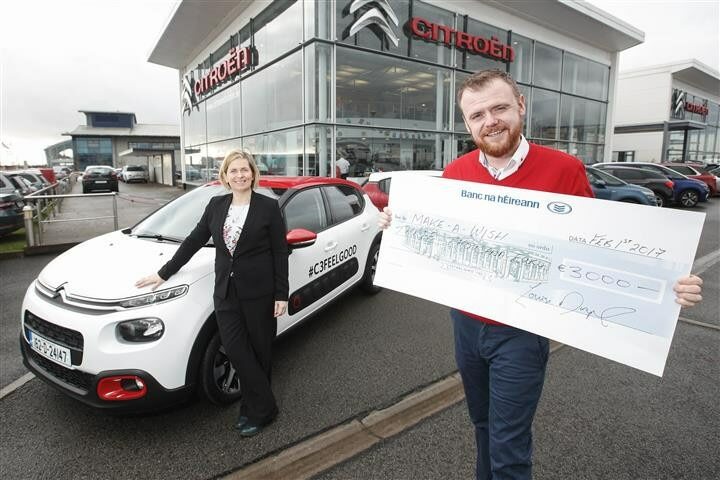 Each time a nomination was made online using #C3FeelGood Citroën made a €2 donation to children’s charity Make-A-Wish Ireland on your behalf, with a target to reach a total donation of €3,000. The campaign had almost 1 million impressions across social media platforms, along with 7,500 engagements by the public.